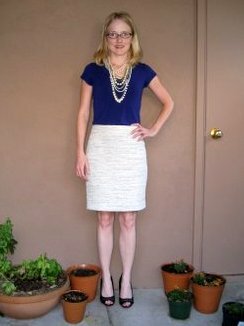 This skirt washed out in the picture, appearing whiter than it does in regular normal life. Just like my skin, haha! Just kidding, my skin is in fact that white. May 27, 2015. Tags: Ann Taylor, clothes, shopping, Target, What I Wore to Work Today. Pictures, What I Wore to Work Today, Words.